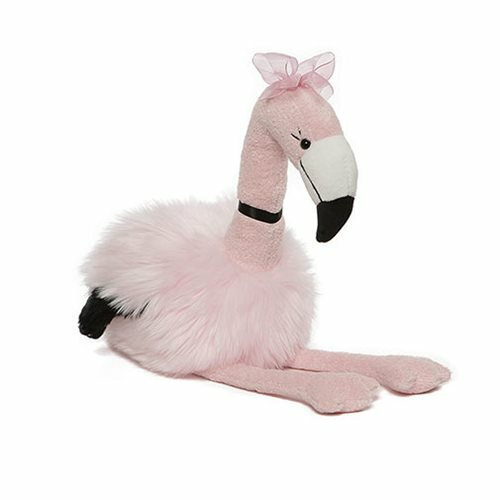 Gund is proud to present the fabulously fashionable Flamingo 19-Inch Plush – structured for beautiful room décor yet soft and huggable for playtime. This 19-inch plush features embroidered eyelashes and ruffled black and pink wings. A sweet pink bow and black choker complete the look! Surface-washable for easy cleaning. Measures about 19-inches tall x 16-inches wide x 12-inches long, Ages 1 and up.